As we move many of our genealogical tasks to digital formats, some of the tools we used years ago become obsolete. 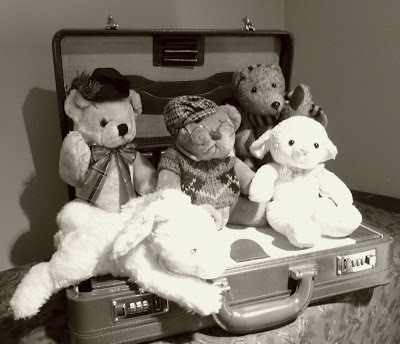 They retreat further and further into the backs of drawers, closets, and attics, rarely to be seen. Among those items in my household which qualify are: more than one typewriter, the personal microfilm reader (this was sold by a microfilm rental company which has long been out of business), and the plastic film canisters (have kids now ever seen rolls of film?) filled with quarters and dimes, for those library jaunts requiring many trips to the copy machine. I ran across one item that I've decided to let go, but not without a pang of regret. 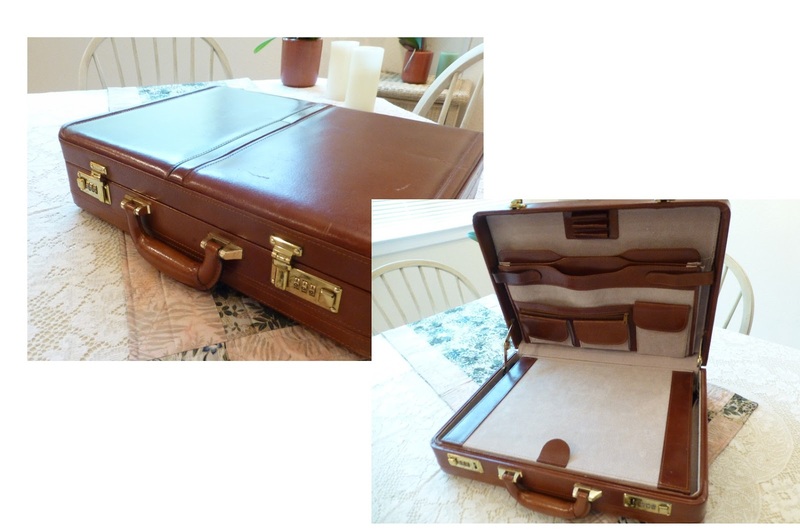 This is a briefcase given to me as a gift by my mother, Joan L. Eckerson Anderson, in the very early 1980s, at the start of my genealogical career. It's nothing special in terms of value or appeal: the brand is an Airway, and it seems to have been constructed of imitation everything. But, its significance to me is that it represents the support and love of my mom. She found my work in genealogical research something to be proud of. Recently, I finished Geoff Rasmussen's book, Kindred Voices, in which he talks about letting your ancestors guide you in your search for their stories. He referenced a funny quote I'd never heard before. It's something like, "I've never seen a U-Haul following a hearse," which is another way of saying you can't take it with you. My mother ignored this, and really did try to take it with her. Now that she's gone, however, I believe I can let the briefcase go without causing hurt feelings. She did leave me something to replace it with, in a roundabout way. My sister sent me this lovely leather case that had been in my mom's house: one of her thrift shop finds. I had glanced at it once and admired its handsome construction. The rumor was that it had belonged to a college instructor. Its nearly-new condition may have had something to do with the fact that it weighs about 40 pounds empty! This Christmas season it found a new purpose: housing a stuffed animal collection. I'll find other ways to re-purpose it during different times of the year. While this may be a comedown from the halls of academia, it's far better than hiding in the dim shadows of the closet, banished by the iPad.